Draw samples from a Pareto II or Lomax distribution with specified shape. The Lomax or Pareto II distribution is a shifted Pareto distribution. The classical Pareto distribution can be obtained from the Lomax distribution by adding the location parameter m, see below. The smallest value of the Lomax distribution is zero while for the classical Pareto distribution it is m, where the standard Pareto distribution has location m=1. 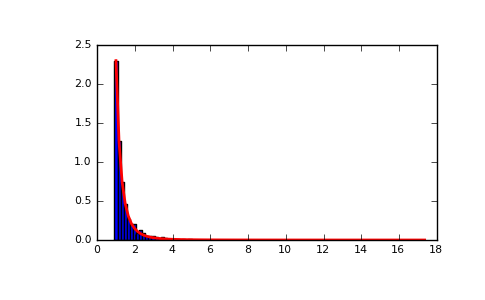 Lomax can also be considered as a simplified version of the Generalized Pareto distribution (available in SciPy), with the scale set to one and the location set to zero. 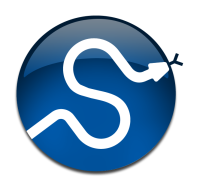 [R201] Francis Hunt and Paul Johnson, On the Pareto Distribution of Sourceforge projects. [R202] Pareto, V. (1896). Course of Political Economy. Lausanne. [R203] Reiss, R.D., Thomas, M.(2001), Statistical Analysis of Extreme Values, Birkhauser Verlag, Basel, pp 23-30.